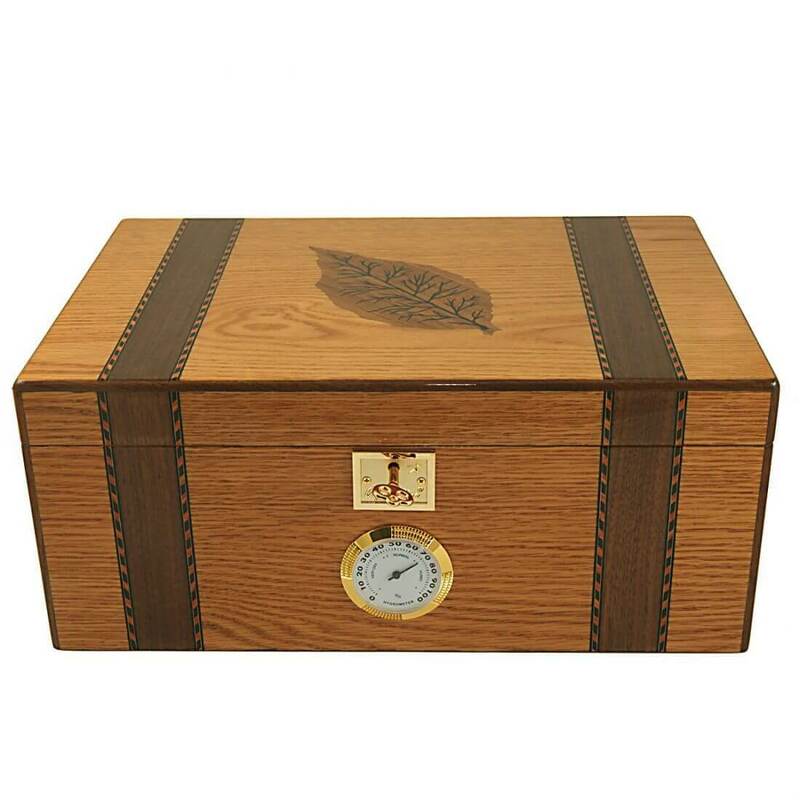 UNIQUE OAK, SAPELI, WALNUT wood Cigar Star Limited Edition Series Humidor. 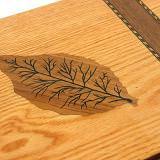 Exotic woods incredible attention to detail. 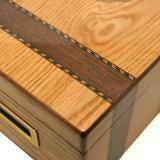 Outstanding craftsmanship! 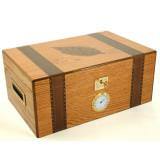 Cigar Star Treasured Memories Limited Edition Cigar Humidor. Made from RICH OAK, SAPELI & WALNUT, 100% handcrafted from these exotic hand picked pieces of wood with outstanding wood grain patterns, which SCREAM DETAIL. 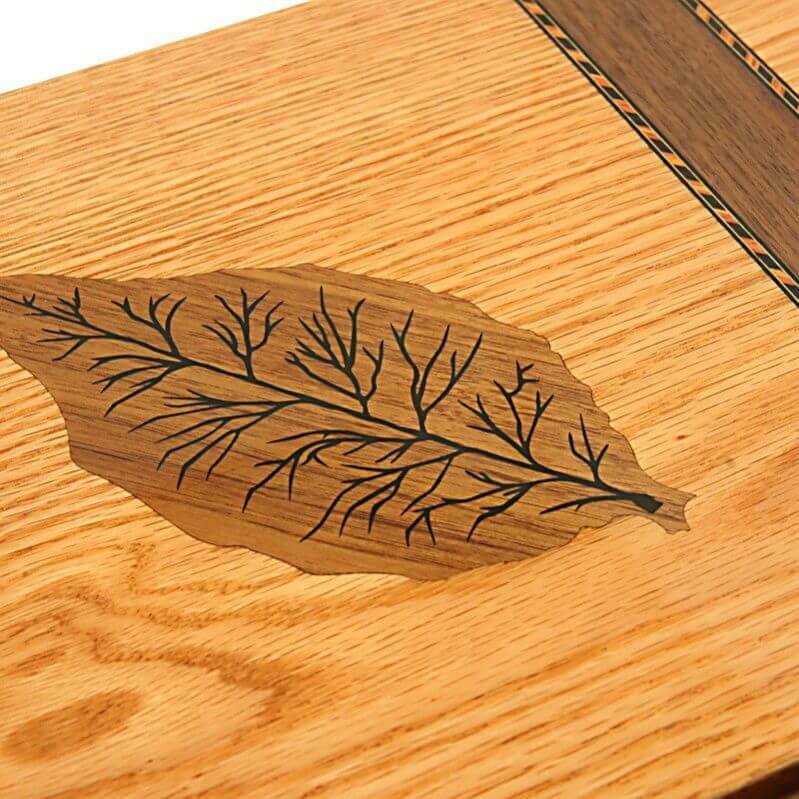 Oak throughout the humidor, Walnut wood cigar leaf inlay on top with Sapeli highlight inlays. Extreme attention to detail. 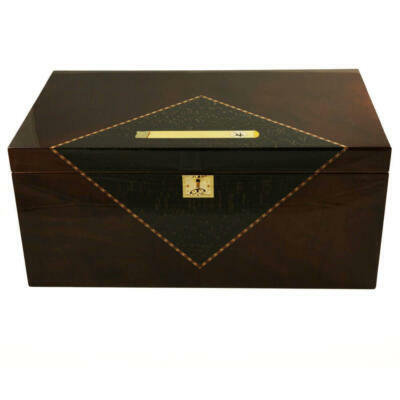 This humidors interior is as equally as impressive. Will fit in any decor! 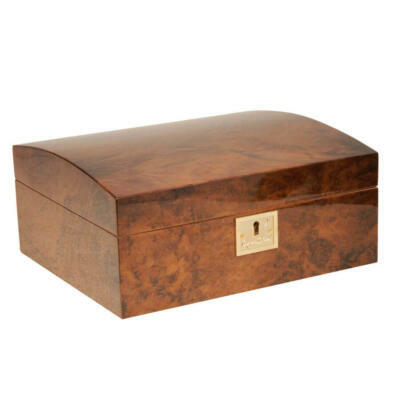 Mirror gloss finish exterior & kiln dried Spanish cedar interior. 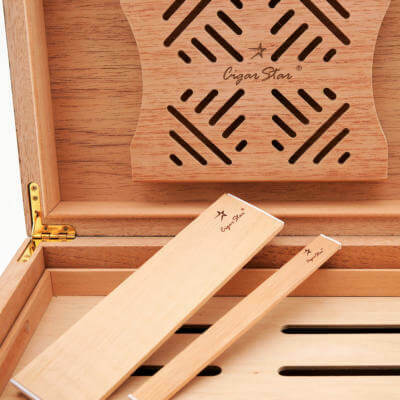 AMAZING 150 Cigar Total RICH OAK, SAPELI & WALNUT inlays. 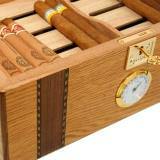 Hygrometer placed on outside front of humidor for easy hassle free reading. 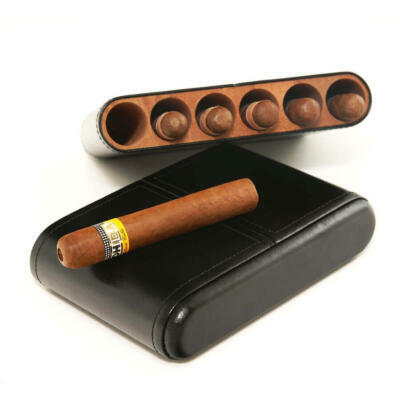 It will store up to 150 cigars. 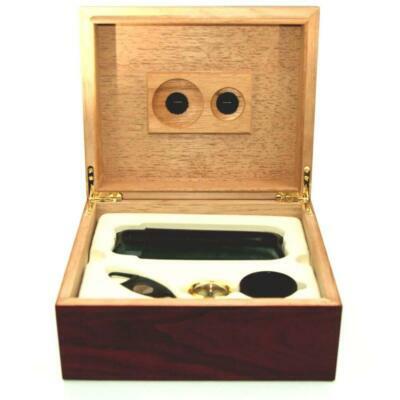 1 Brass keys with a brass lock, to keep your cigars safe. 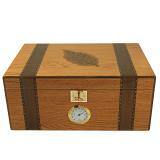 1 large easy recharge humidifier system. 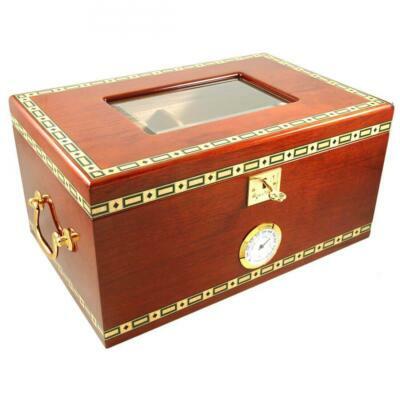 Hygrometer placed on outside front of humidor. 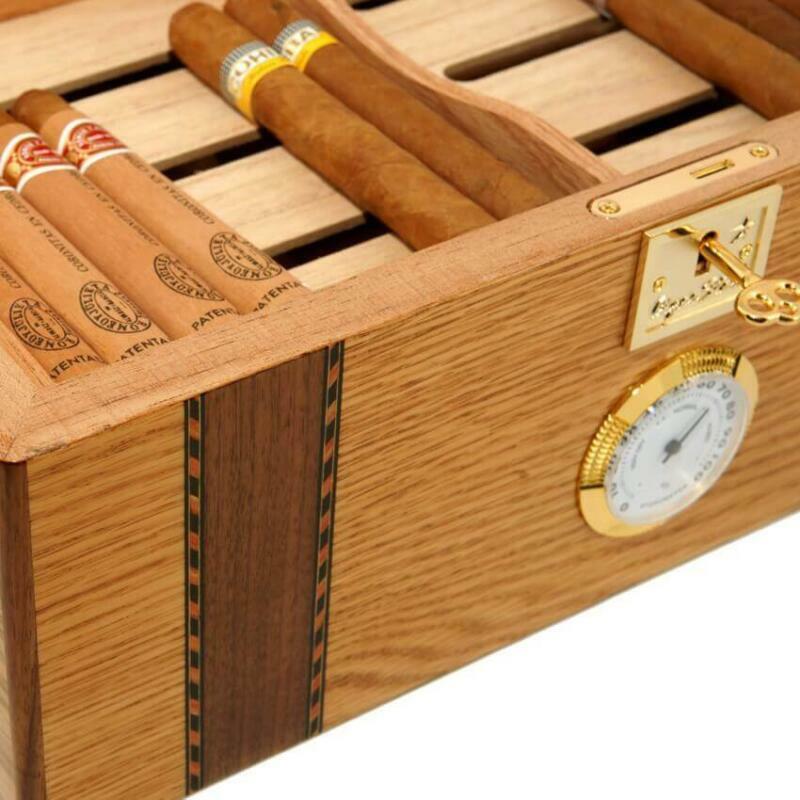 Comes with 5yr warranty and instructions on how to activate your humidor.